You've just hit delete on a group of photos that you meant to save or share. Your eyes widen, mouth goes dry, heart skips a beat. They were the best photos you've ever taken, and that selfie was going to get thousands of likes. Fear not - hope may not be lost! There are some methods, detailed on this page, which will allow you to find and retrieve your deleted iPhone photos. First up is the quickest and easiest method, our safety net. If your iPhone is running on at least iOS8 (what iOS version is my iPhone running? ), you'll have a handy 'Recently Deleted' folder in your Photos app. That's right, even when you've deleted photos, they will remain on your iPhone for 30 days before being permanently removed from the device. Note that this option only covers photos which you have deleted. If you have lost data through a software or backup issue, the photos will not appear in this album. In this case, go to Method 2. Scroll down to the 'Recently Deleted' album. The album will show all deleted photos from the last 30 days, as well as how many days remaining they have before being permanently removed. Tap 'Select' then tap all the photos that you want to restore to the device. Tap 'Recover' to save your photos! How to Recover Deleted Photos: If your photos have been permanently removed from your iPhone, we need to step up our detective game. At this point, you need to check your iPhone backups for the photos that you are missing. 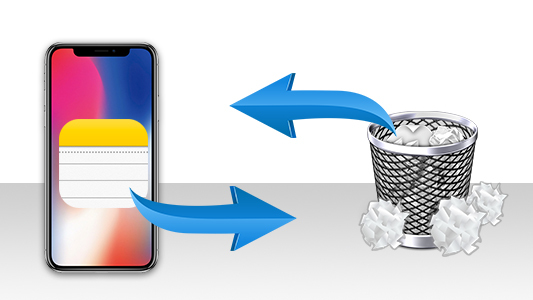 If your backup contains the photos that you deleted since the backup was created, you can restore the backup to your iPhone to get them back (Method 3). However, restoring a backup to your iPhone will overwrite the data currently there. As such, you may end up losing your most recent photos and other data. Don't worry, here's a handy work-around. Choose a backup of your device from the list to view its contents. 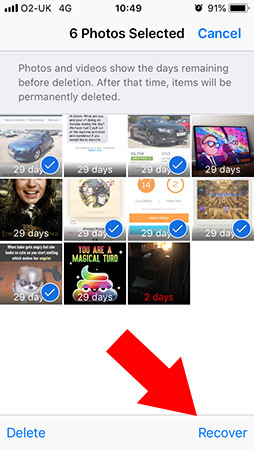 Click the 'Photos' tab in each backup to look for your deleted iPhone photos. Once you find photos that you would like to restore, select them, and click 'Copy Photos'. The free demo of iBackup Extractor allows you to extract 20 items FREE. The photos will copy to your computer. If you then want to restore the photos to your iPhone, simply connect your iPhone to your computer and open iTunes. Click your device icon, then 'Photos' to open your sync options. 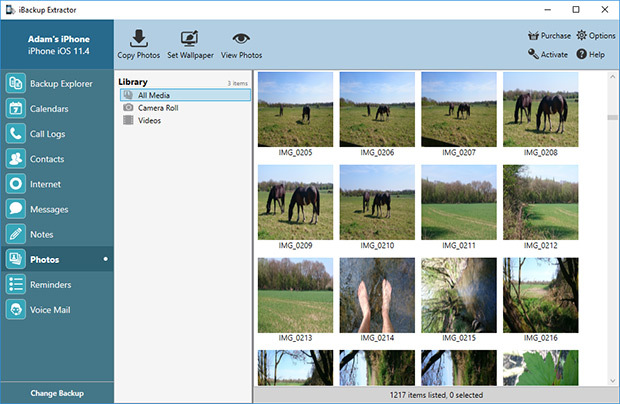 Tick the 'Sync Photos' box, then using the dropdown box, select the location on your computer where you copied your pictures to with iBackup Extractor. Once you've made your selection, hit 'Apply' to copy the photos from your computer to your iPhone. If you don't want to extract your photos from your backup, the final option is to simply restore the backup to your iPhone. As mentioned before, restoring a backup will overwrite the existing content of your device with the content stored in the backup. For this reason, we recommend copying important information from your iPhone to computer before restoring the backup. 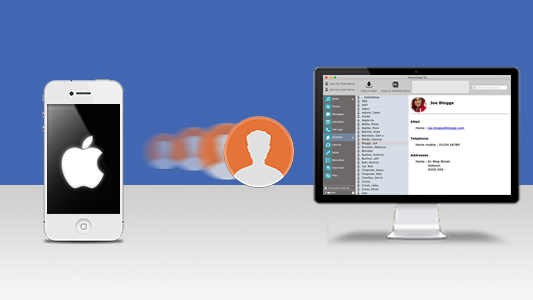 You can copy photos, messages, music and more from your iPhone to computer using TouchCopy. Click your device icon when it appears in iTunes. Choose the backup that you want to restore, and click 'Restore'. Keep your device connected until the entire process is complete. Your device will restart and then sync. If you make your iPhone backups to iCloud, you can restore your iPhone from an iCloud backup to recover your photos. As mentioned before, restoring a backup will overwrite the existing content of your device with the content stored in the backup. In the case of restoring from iCloud, you need to erase the current content of your iPhone before restoring from an iCloud backup. 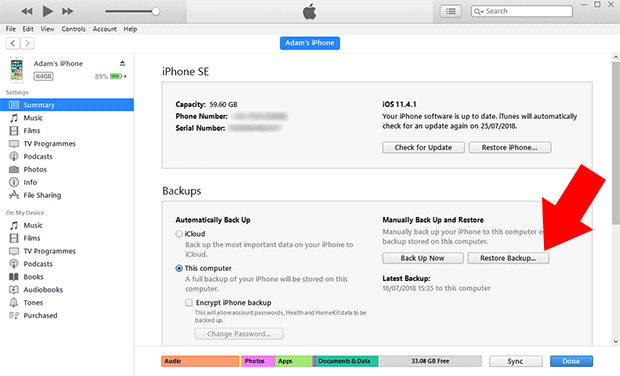 Before we start, double-check that you have an iCloud backup to restore to your iPhone. You can find steps on how to do this on your iPhone, depending on your iOS, on Apple's support page. Erase your device (Tap Settings > General > Reset > Erase all content and settings). Turn on your reset device. Using your existing Apple ID, sign in to iCloud. Tap the backup that you want to restore, and the restore process will start. 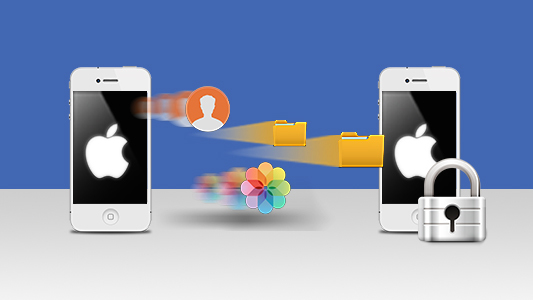 Safely recover deleted files from your iPhone backups. from backups on your computer.